When a power distribution cable fails it creates various gases by burning insulation. Detection of the highest level of these gases gives an accurate location of the fault. This instrument - a field tested CableSniffer - fulfils the role. 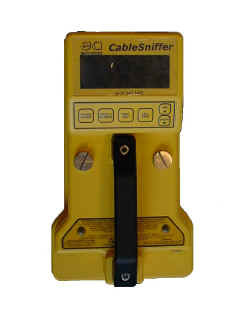 The CableSniffer literally sniffs out these gasses, and by comparing the concentration of gases at different locations, provides an accurate method of fault location. This can dramatically reduce the number of excavations required. 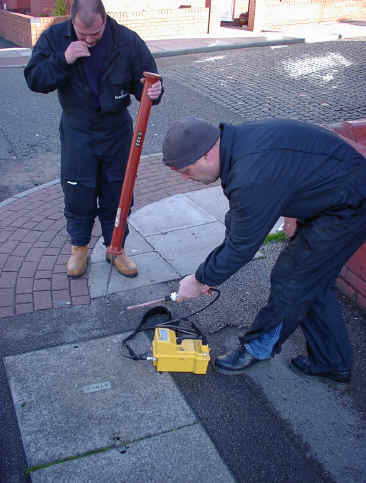 An essential tool in fault location, this instrument is particularly valuable in emergency situations where fast location is required, and trials have shown that the CableSniffer can locate the faults many days after the failure occurred. The CableSniffer reduces the number of holes dug by 50% - this is a saving of about 1500 Euros per hole. CableSniffer is extremely cost effective technique. This small portable instrument is lightweight, rechargeable. Locates failure up to one week old.